Three days of nationwide postal strikes will go ahead as planned starting on Thursday, the union has said. Strikes will begin at 0400 GMT, with up to 120,000 workers involved. Royal Mail condemned the union's decision to walk away from negotiations and go ahead with the planned industrial action. 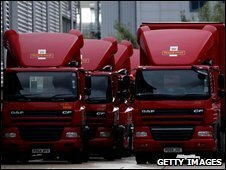 Royal Mail and the Communication Workers Union (CWU) have been in talks for three days to try to end the dispute. The two sides began the latest round of talks on Monday, after agreeing to meet at the headquarters of the TUC, where the agreement to end the last national dispute was brokered in 2007. Royal Mail claimed there had been "significant progress" in the talks and urged the union to come back to the table. "We were once again on the verge of a sensible agreement that would have allowed us to enter into in-depth discussions with the union over the future of Royal Mail in an atmosphere of calm," said Royal Mail's Mark Higson. 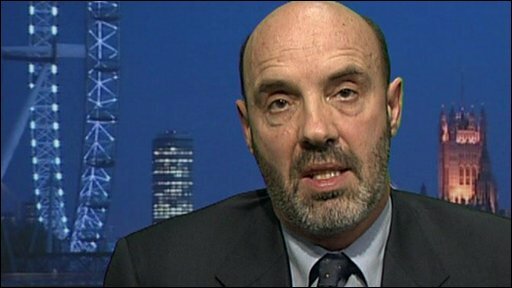 "But just like last week the CWU leadership has failed to carry its own Postal Executive Committee, which appears to be split with London members at odds with the rest of the country and unable to reach any decision. "We had made huge progress with the help of the TUC when the CWU came back from their executive meeting with a whole new series of demands." For their part, the CWU said they had tabled a new proposal earlier in the day, but as of 1800 GMT had not received a reply, so strikes had to take place. "Had that proposal been agreed this would have enabled a period of calm and allowed further talks with Acas with the intention of concluding a full and final agreement," said deputy general secretary Dave Ward. Both sides paid tribute to the involvement of TUC general secretary Brendan Barber and called for talks to restart. Businesses immediately expressed their disappointment at the news that strikes would continue. "No one is benefiting from ongoing industrial action and hard-pressed businesses are the innocent victims," said the British Chambers of Commerce. "All parties have got to stay round the table and hammer out a solution that provides businesses with the reliable postal service needed to help drive an economic recovery." This week's strikes will follow two 24-hour stoppages last week. Royal Mail said on Wednesday it expected its backlog from that disruption to have fallen from 30 million to two million items by the end of the day. It said almost all of these letters and parcels were awaiting delivery in London. The CWU had claimed the backlog was in excess of 100 million items at its peak. • Saturday: 77,000 delivery and collection staff across the UK.